PURCHASE MORE THAN ONE AND GET A REDUCED PRICE. 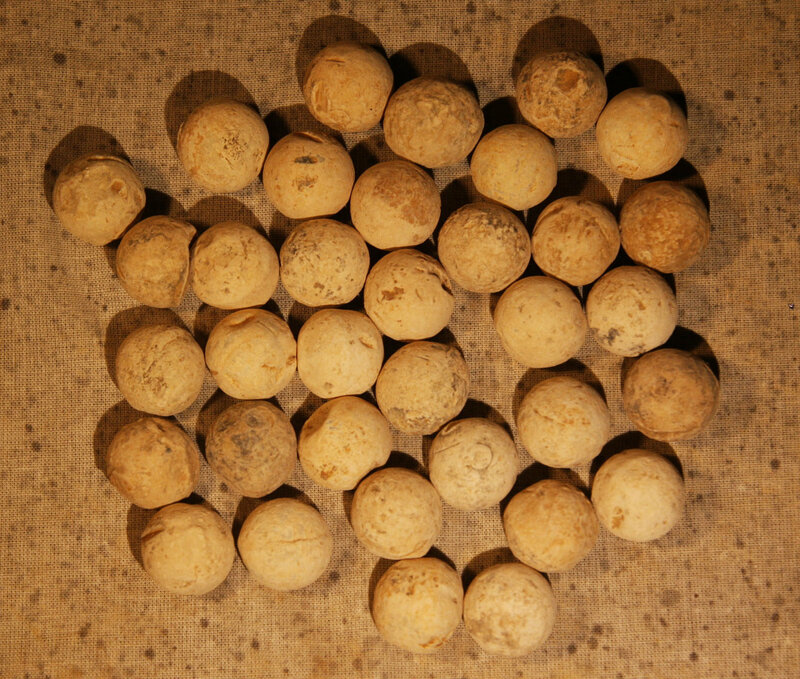 A .69 caliber round ball or large case shot from an artillery shell that was found on the farm that is enclosed by the Cornfield Road, Smoketown Road and Old Hagerstown Pike (known today as the Wilson Farm). During the battle, this area was between the Cornfield and the Dunker Church and also included a portion of the East Woods. It saw heavy action throughout the morning of the battle. This is one of the few farms on the heart of the battlefield that was still in private hands (until purchased for preservation recently) and saw intense fighting and significant bloodshed. This bullet was found by a relic hunter in October of 2002 (with permission). I will include a signed letter of provenance. YOU WILL RECEIVE ONE OF THE ARTIFACTS THAT IS IN THE PHOTOGRAPH - ALL ARE IN SIMILAR CONDITION.